This report was created in 1972 and lists descendants of early pioneers. The event? 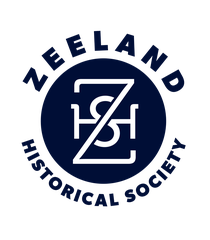 The 125th Anniversary of the Settling of Zeeland in 1847. NOTE: Their 1972 street address is not included in the index below. The Descendants of Early Settlers listed below are located in the Zeeland Museum's research room.